Give Dad his own remote! 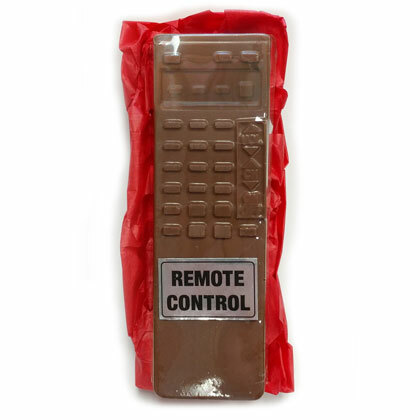 Solid milk chocolate TV remote in acetate gift box. 6 oz. Acetate box is 3 by 7.25 inches tall. Kosher Dairy under the Star-K Dairy Supervision.